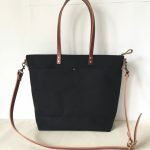 It’s incredibly busy in the studio with Christmas coming up, but I just want to show you this custom Large Utility Tote. It’s for Vicki in Halfway, Oregon. She’s a musician and will be using it to put her sheet music and ukulele in it. The ukulele will likely stick out from the bag, but she was looking for one big enough to put everything of hers in it. I find it so neat that she plays the ukulele. I learned how to play a little in elementary school and it’s always been something I want to pick up again. This bag is big and hefty. The interior has 5 pockets to organize belongings. Many customers who order this large size also carry a 15″ laptop. It fits that and a lot more. Great for work and travel. 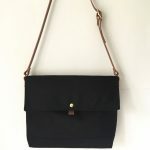 Black body and brown straps is a custom colour combination Vicki chose. It has a full zipper top, so nothing falls out. Vicki chose to add 2 front pockets for more organization. 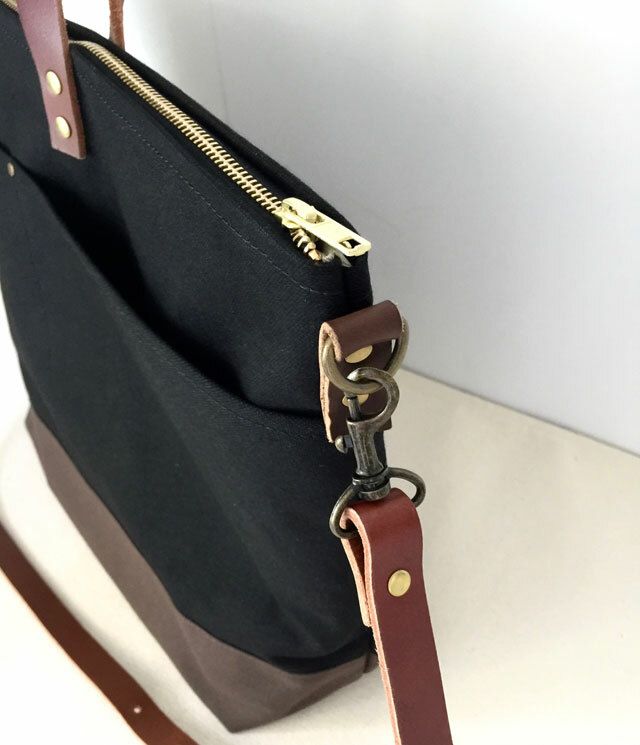 MATERIALS: Lightly waxed canvas that is water resistant. This proprietary blend of wax treated onto a premium heavyweight canvas is made from a family-run textile company established in the 1830’s. Thick Italian vegetable tanned leather that is strong and ages well. 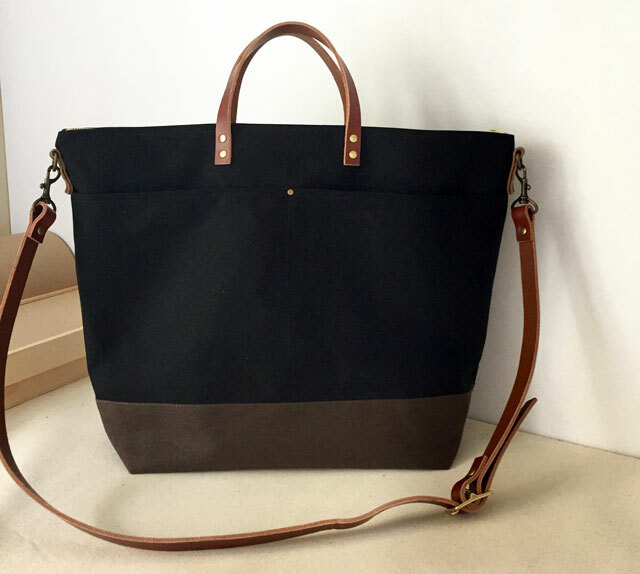 PLEASE NOTE: This large size Utility Tote is only available through custom order. 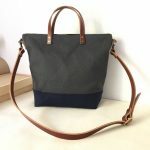 Please contact me at cathy@moderncoup.com if you’re interested in a similar bag handcrafted for you. Right now, it takes 10 business days to make before shipping. 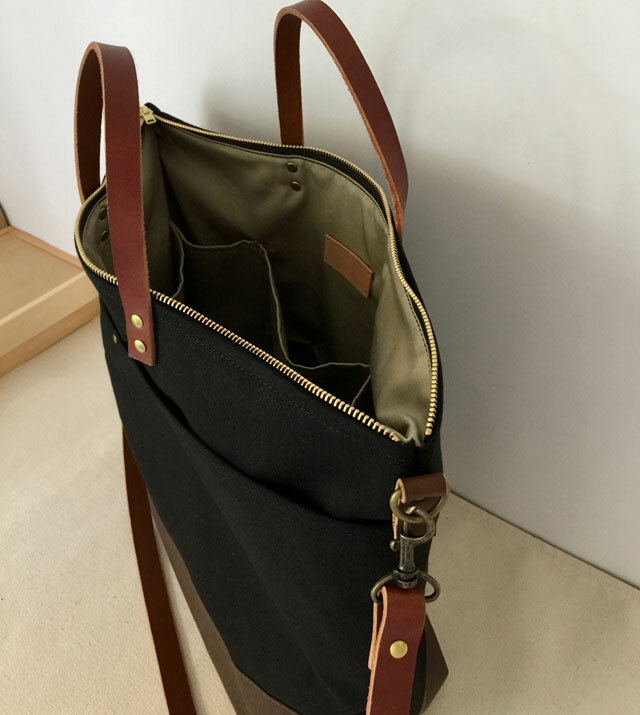 The standard size Utility Tote is in stock from the shop. It ships in 2-3 business days. Thanks!